As a general rule, you can use the following method for creating magickal anointing oils. In a mortar and pestle, pour two ounces of your base oil (olive, almond, grapeseed, etc.) and then add the herbs and other ingredients. Gently crush the ingredients and transfer the mixture to an airtight container and store in a dark place. After four days, check the oil to see if the fragrance is to the desired strength. If it is, then you can either strain the oil with cheesecloth into your final container, or simply leave everything together. Store in a dark place. If you do not have the right aromatic strength, then strain the oil in cheesecloth back into your mortar, add enough of your base oil to bring it back to 2 ounces, and repeat the process of adding your ingredients, crushing them into the oil, and storing away for three days at a time. Repeat this as many times as necessary to achieve the desired strength. Some herbs and resins are more readily absorbed than others. If you have an essential oil of an herb used in a recipe, you can add some to the recipe to enhance the aroma, as well. Be sure to add a few drops of tincture of Benzoin to your oils or they will go rancid (unless you are using jojoba oil as a base). Please note that it is always possible to have an allergic reaction to any oil or oil blend. A skin patch test should be conducted prior to using any essential oil that will have contact with the skin. This is to determine if you may be allergic or have a sensitization reaction to the oil. 1)Keep all essential oils out of the reach of children and pets. 2)Pregnant women and persons with health problems must consult doctor. 3)Essential oils should never be used undiluted on the skin. 4)Essential oils should not be taken internally. 5)Products made with natural ingredients may still cause allergic reactions with some individuals. When using oils on skin, be aware of any reactions that seem to be happening, and take first aid measures immediately. Flush the area with a lot of clean water and seek medical attention. Take the same steps (flush with clean water, seek medical help) if you spill undiluted essentials on yourself, or get them in your eyes, nose, mouth or an open wound. Working with essential oils requires knowing the properties of the oils and being aware of the safety issues about the oils you use. For your convenience, I have compiled a list of essential oils based on information is from Julia Lawless book The Illustrated Encyclopedia of Essential Oils: The Complete Guide to the Use of Oils in Aromatherapy and Herbalism(Illustrated Encyclopedia). You are encouraged to purchase the book and study it to gain the in depth knowledge required to master the art of apothecary. Bitter Almond, Arnica, Boldo, Broom, Buchu, Calamus, Camphor, Cassia, Chervil, Cinnamon (bark), Costus, Elecampane, Fennel (bitter), Horseradish, Mugwort, Mustard, Oregano, Pennyroyal, Pine (dwarf), Rue, Sage (common), Santolina, Sassafras, Savine, Savory, Tansy, Thuja, Thyme (red), Tonka, Wintergreen, Wormseed and Wormwood. Ajowan, Anise Star, Basil (exotic), Bay Laurel, Bay (West Indian), Camphor (white), Cassie, Cedarwood (Virginian), Cinnamon (leaf), Clove (bud), Coriander, Eucalyptus, Fennel (sweet), Hops, Hyssop, Juniper, Nutmeg, Parsley, Pepper (black), Sage (Spanish), Tagests, Tarragon, Thyme (white), Tuberose, Turmeric, Valerian. Basil (French), Bay Laurel, Benzoin, Cade, Canagaa, Cedarwood (Virginian), Chamomile (Roman and German), Citronella, Garlic, Geranium, Ginger, Hops, Jasmine, Lemon, Lemongrass, Lemon Balm (melissa), Litsea Cubeba, Lovage, Mastic, Mint, Orange, Peru Balsam, Pine (Scotch and long-leaf), Styrax, Tea Tree, Thyme (white), Tolu Balsam, Turmeric, Turpentine, Valerian, Vanilla, Verbena, Violet, Yarrow and Ylang Ylang. Angelica Root, Bergamot (except bergapten-free type), Cumin, Ginger, Lemon (expressed), Lime (expressed), Lovage, Mandarin, Orange and Verbena. Avoid the following oils in cases of high-hypertension: Hyssop, Rosemary, Sage (Spanish and common) and Thyme. Hyssop, Rosemary, Angelica, and Sage (all types). Homeopathic treatment is not compatible with the following: Black Pepper, Camphor, Eucalyptus and Peppermint. Essential oils should be stored in dark glass bottles or vials. However, essential oils can be packaged in clear glass bottles or vials if they are stored in a box or dark carrying case. All essential oils should be kept at a moderate to cool temperature and away from children and pets. Voodoo Hoodoo not only utilizes roots & herbs for its spells, but also candles, oils, incense, floor washes, sprays, powders – pretty much anything goes. Many spells are candle oriented for added power. The color of the candle is always in sync with the nature of the spell. By dressing (anointing) the candles with oils and rolled in powdered herbs, you’re in effect adding an enhancement to your candle of power thereby making it that much more precise in your working. This spills the beans on some of the commonly used oils and potions in Voodoo hoodoo. You will need to know how to make these or you will need to buy them for many of the spells. Most traditional root workers make their own, although modernization of the practice along with internet access makes it easier for some folks to purchase what they need. Do whatever you want; there is no law that says you have to make your own. The advantage of making your own is that you know exactly what is in it and you can charge it yourself. 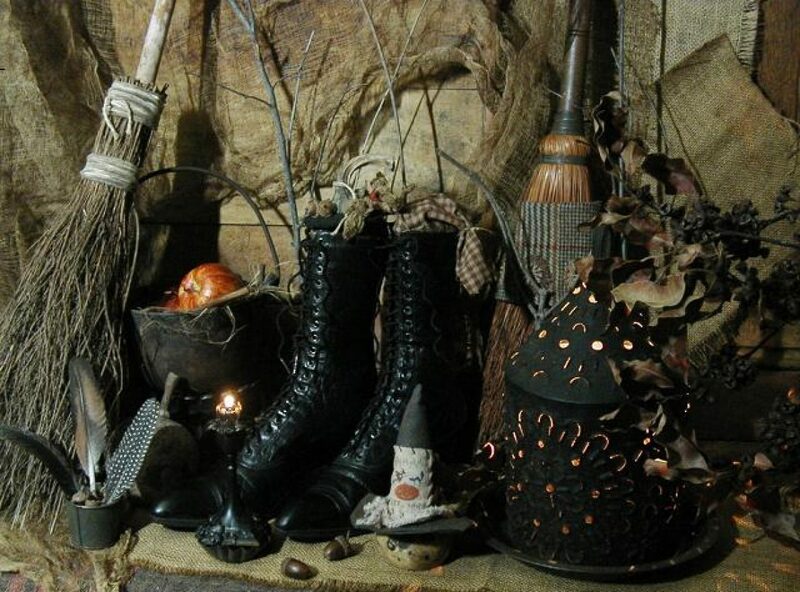 Many traditions of magic work with plant materials, and most assign some symbolic meanings or ascriptions to these ingredients. Many hoodoo and Voodoo spells require certain blends of oils and powders to accomplish a particular work or to enhance a spell. Always use a natural carrier oil to blend your magickal oils as unblended oils can burn the skin. You should only use a drop or two at a time on the skin. I use Grape Seed oil and almond oil for blending magickal oils, and Olive oil for blending holy oils. Jojoba oil is a good alternative because it won’t go rancid, although it is more expensive than the others. Mineral oil is good for negative works. You should always add tincture of Benzoin or Vitamin E oil to keep to any oils listed to keep them from going rancid. 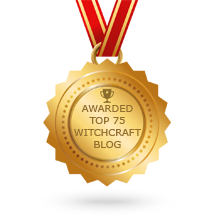 Below you will find a list of carrier oils and their shelf life that can be used to make magickal anointing oils. This is important information when considering how often you will use the particular oil you make. – Shelf life is approximately 3-6 months. Solvent extracted grapeseed oil has a shelf life of 9 months. Keep refrigerated. – Shelf life is approximately 18-24 months. – Shelf life is approximately 12 months to 18 months if stored properly in a cool dark place. – Shelf life is approximately 3-6 months is not refrigerated. If refrigerated, the shelf life can be increased to 12 months. 2018 is a Number Eight year for you. Ruled by Saturn. This is a year of power and accomplishment. Actively seeking to expand, taking educated risks, and moving forward are highlighted. This is a year of opportunity, particularly in the material and business world, and opportunities need to be seized. It’s generally not a year to find a new love partner, simply because the focus is on the material world and your place in the world. This is a problem-solving year in which you can expect real, tangible results. 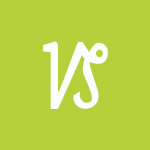 Advice – take action, plan ahead, seize opportunities. 2019 will be a Number Nine year for you. Ruled by Mars. This is a year of completion and transition. It is a time when we need to let go of things that no longer serve their purpose, and hold on to things that have a future. It is a time of cleaning out dead wood, not necessarily for new beginnings. It can be a time when a burden has been taken off your shoulders, and it can be a year of giving of yourself. Advice – let go of things that are holding you back, give of yourself and express your sympathetic, compassionate side. 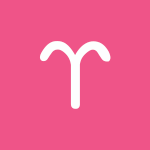 Uranus in Aries connects harmoniously with the Sun today, dear Aries, putting you in fabulous form for enjoying new interests, a friendship, making connections, or dreaming up new ways to enjoy your life. You can be particularly inspired by new ideas and potential ventures now. You might also break through a barrier or problem, and this comes as a pleasant relief. You’re in particularly good shape for sharing your talents or expertise with others, socializing, and coming up with creative and exciting ideas for future projects. You love to innovate and break ground, and with the Solar Eclipse on Thursday and the aspects forming now, you’re in an unusual position to do so in the weeks ahead. A Mercury-Jupiter square, also active today, warns against going overboard with money, relationships, projects, and promises, in general, but it also challenges you to think in bigger terms than usual. Dream but don’t invest your heart, money, or energy into something brand new just yet. A Sun-Uranus connection today is gently exciting, dear Taurus, as circumstances are such that you’re reminded of areas of your life that are doing well, improving, or showing great promise. It’s important to keep in mind the tendency to gloss over practical details today, though, unless you’re merely daydreaming and not signing on the dotted line! The temptation may be to jump to a conclusion, but information is likely to be incomplete now. As well, Mercury is at the top of your chart and you’re likely to attract more attention than usual for what you communicate! For some of you, there can be a disconnect with someone about your long-term plans, and while this should be addressed at some point, try not to put too much weight into it at the moment. It may very well be coming off as more difficult than it truly is (a Mercury-Jupiter influence active today has an exaggeration effect). However, do look for opportunities to advance your professional interests and consider ways to free yourself from attitudes that have been limiting your progress or success. Today, Jupiter forms a square to Mercury, your planetary ruler and the ruler of communications, in general, dear Gemini. This can lead to misjudgments as we speak, judge, or conclude too quickly. Even so, their conflict can stir up some incredible enthusiasm and good ideas, even if these may need some refinement at a later date. You can be defending your beliefs today, which is energizing but might also lead to moodiness if others are listening only to themselves, which is very likely with this transit. Also today, a Sun-Uranus connection forms that inspires you. You are more in tune with your desire for new experience, learning, and excitement these days, and friends and acquaintances can be part of this today. Travel, courses, networking, teamwork, and publishing opportunities can be areas of improvement or inspiration. Friends and alliances formed through your studies or extracurricular activities can be in focus and successful in the coming weeks. For some, a long-distance friendship is a central focus in your life now. 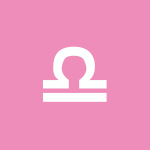 For the most part, the day is likely to find you very positive and enthusiastic, dear Cancer. 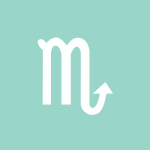 Even so, moodiness is possible with a Mercury-Jupiter square that tempts you to jump to conclusions. You may want to make big promises to make someone happy, but it’s best to avoid this kind of behavior now. Instead, open your mind to possibilities and reserve judgment for later. Creative activities fare beautifully. You’ve been attracting rather intense energy or experiences into your life recently with the Sun and Mercury in your intimacy sector, and today, you’re looking for ways to improve and change for the better. You’re in good shape for recognition from people at work, in your field, or in a position of authority, especially for your unique insight or methods. A relationship might play a significant role in your motivation to reach a goal or ambition, or a common purpose with a significant other can form now. You’re encouraged to think outside of the box for solutions to problems now and in the coming weeks. A Sun-Uranus connection today is excellent for you, dear Leo. Not only does it involve your ruler, the Sun, but it also occurs with Uranus in harmony to your sign. People in your life are contributing much to your life now, and it can feel enjoyable and fulfilling. There can be some restlessness stirred now, and this can lead you to interesting places, but toning things down can be useful if you find yourself becoming hyped up over a belief or idea that didn’t mean much to you before today. Attention to a partnership may seem to interfere with efforts to settle in or pay extra attention to family. With Mercury in your partnership sector, you might often want to share decisions with someone else these days, but today, others may want to be included. Fortunately, you’re in a great position to slip into another’s shoes, and you can come to agreements quite readily. Aligning yourself with others who are progressive, adventurous, and forward-looking can be very beneficial now. 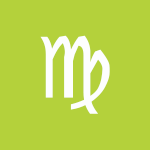 While there is some tendency to misjudge a situation today, dear Virgo, mental restlessness may also lead to exciting discoveries. Your mind can be doing some interesting exercises now, and while some of it may lead to nothing, at the very least, you’re entertaining ideas you may not think up on another day and having some fun with it. Do watch for having too many balls in the air now, or for taking on more than you can handle. When it comes to news or others’ overtures to you, it’s best to double-check facts. A little research goes a long way today with Mercury in your work and health sector making nice with Uranus in your solar eighth house. You may be uncovering hidden answers or information that helps push you forward into new territory. Alternative methods work best right now; there is no need to cling to the traditional. Try not to overdo things but enjoy the positive vibes that may very well lead to small breakthroughs in your work or intimate life. 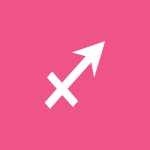 Mercury connects with Jupiter and the Sun to Uranus today, dear Libra, and while there is some tendency to go overboard or to exaggerate, it’s an excellent time to dream up new ideas and turn on to new interests. You’re open to others and they to you. Keeping in mind that you and others are prone to jump to conclusions today, you can enjoy the positivity and have some fun with conversations and thoughts. 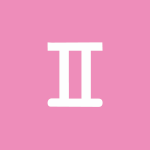 As the Mercury-Jupiter square involves your second and fifth houses, a situation with a child or lover can have much more to it than meets the eye. Or, judgment about money may be off just for now (likely towards excess). Creatively speaking, your ideas are quite brilliant, but you may not have all the resources, particularly time, to implement them for now. Be patient about putting exciting new plans into action. This is a time of the year when creative impulses are stronger than usual, and fresh approaches to relating are in order. A little frivolity goes a long way, and expressing yourself more freely and playfully can help open doors to you. 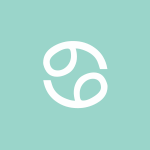 While thinking may have been a little cautious yesterday, today you’re latching on to exciting new ideas and feeling quite enthusiastic about them, dear Scorpio. It’s important not to invest too much of yourself or your resources into a new venture just for now, but ideas can be in the hatching stage and entirely worth your attention. A good practice in times like these is to remind yourself of your usual limits. Significant commitments should be avoided until further notice! You are more sharply focused on family affairs and your personal life these days, and today is particularly strong for enjoying the freedoms that acceptance and support afford you. Work, health, and family life benefit from a creative, non-traditional approach, and this is set to continue since the aspects in the days surrounding a Solar Eclipse (which will occur on the 15th) are imprinted into the eclipse and have more staying power. Follow your instincts when it comes to decorating, reorganizing, nesting, cooking, and working, as you could create a small masterpiece now. Your mind is open and others give you the space to do your own thing. If you can avoid putting too much energy or hope into a particular line of thought or plan today, dear Sagittarius, and enjoy the idea process instead, you’re in great shape. Mental restlessness is a given with Jupiter, your ruler, in tense aspect with Mercury, but it also encourages you to stretch your mind. Your trust that others understand you may be too optimistic and can lead to miscommunications, or jumping to conclusions can lead to same, under this influence. It’s not the time to divulge sensitive information. However, this is a beautiful time for discovery, particularly along mental or intellectual lines. The information you uncover today is exciting and possibly even profitable. Your sense of humor is in full bloom, and your mind is open to new ways of connecting. The weeks ahead can be a time of advances, however big or small, that motivate you and lift your spirits as the aspects active today tie into Thursday’s eclipse and stick around for some time. 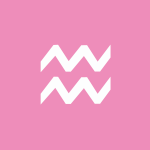 A Mercury-Jupiter square happening today points to some tendency for us to jump to conclusions or to make hasty (perhaps even haughty) decisions, dear Capricorn. Keeping this in mind, you can nevertheless enjoy an exercise of the mind now. Optimism can lead you to take on more than you can reasonably handle, but if you defer promises or commitments, you can come up with some bright ideas. Tune into optimistic energy now. A Sun-Uranus aspect, also active today, helps. It feels good when you meet with open minds and open your own mind to possibilities. Interactions are likely to be fresh and invigorating or inspiring. You might enjoy unique insight into a practical matter, especially financial, that surprises you or seems to come out of the blue. This is a time for approaching your family life, money, and domestic affairs in refreshing new ways and making small improvements that help you feel more in charge and more secure. The energies of today are tied into the eclipse that will occur on Thursday, as well as any new beginnings related to money and talents that can come of it. A Mercury-Jupiter square aspect today can lead to saying something too soon or without enough thought today, dear Aquarius, particularly as Mercury is currently in your sign. It’s best not to take on too many projects or commitments on both personal and professional levels now, not only because judgment may be a little off today, but also because a Solar Eclipse will occur in just two days, setting you along a new path. Positively, it’s a good time to think in bigger terms than usual, and later you can reshape and refine what you come up with now. The Sun in your sign connects well with Uranus today, and this boosts your appeal, particularly through your communications and ideas. People appreciate you more than usual. You might find yourself on the same page as a significant other, or agreements come organically now. This can be a time for shaking up the usual routine a little, or for reaching out to someone you’ve been meaning to connect with. 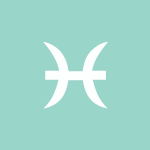 With Mercury forming a square to Jupiter today, ideas can catch hold quickly, and enthusiasm can take off, dear Pisces. However, disagreements can get very big, very fast, as well. Try not to invest too much into information coming in or promises made today, and you’ll be in better shape. As long as you keep things fun and light without excessive expectations, then this is an excellent day to daydream and consider new possibilities. 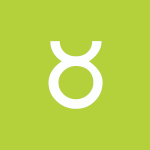 Also active today is a Sun-Uranus transit that gently nudges you towards positive improvements and changes. You’re working under the radar or behind the scenes these days, but you can also be branching out and coming up with novel ways of expressing yourself. When it comes to money, personal possessions, and valuables, you’re doing things just a little differently. A change of pace can feel right. A solar eclipse occurs at a new moon and sees the light of the sun obscured by the moon. Astrologically, the sun reflects our core will and essence. It reveals the qualities that we manifest as we mature (giving it a future-oriented quality) and the path we must walk to step into an independent, unique expression of our being. As such it is the organising force of the psyche through which is filtered all experience, both internal and external. The sun relates to consciousness and in growing increasingly conscious of ourselves and our motivation we step more deeply into its life-giving energy. The moon, on the other hand, is our instinctive and feeling self. A part of us so deep within and close to our very core that we barely know it consciously, instead expressing it as readily but unconsciously as we draw breath. Reflecting both subconscious and unconscious forces in the psyche, the moon reveals our emotional habits and our default orientation towards life. Where the sun is conscious and radiant, the moon is unconscious and deceptively influential. Born of our innate subjectivity and yet all-encompassing, it both constrains us within our individual worldview and connects us with the collective consciousness from which we all draw breath. Because the light of the Sun (the life-force expressed as will) is blocked by the physicality of the Moon (the life force expressed as instinct) the shape of our life at a solar eclipse often reveals the consequences of past actions and reactions. How we manage our emotions and feelings, how we respond to those of others, the stories we tell ourselves about the ‘who, what, where and how’ of our existence, all have consequences which a solar eclipse can bring into sharp relief. If we find ourselves challenged by unexpected disruption now, honest and open reflection may reveal our part in current events no matter how randomly beyond our control they at first appear. Identifying the present consequences of past actions and omissions, denials and assertions, will assist us greatly in moving forward with deeper wisdom that supports a more awakened responsiveness in future. Such a process allows for humility, not despair, to arise in the face of challenge. It asserts authority over victimhood and reminds us that everything we do has consequences, many of which are out of our grasp as soon as we’ve acted. Whilst life does indeed deal unexpected cards and everyone is blindsided sometimes, being able to trace our own footsteps and fingerprints among what may at first look like a pile of rubble enables us to take stock, ‘cowboy up’ and get back in the saddle! Nonetheless, we may be tempted into victim mentality at this time, convinced we are being punished or scapegoated, unfairly treated or powerless to effect change in our lives. But we are only victims if we allow something or someone to dictate our state of mind and heart, instead of rising up, sovereign even in the face of our greatest challenge. To do the latter we must understand how our mind and heart work: what triggers our own personal spiral into despair or hopelessness, anger or confusion. There’s simply no time to wait for feelings to change of their own accord now. We must be masters of our destiny and agents of necessary change. Within the darkness of a solar eclipse, we need to hold our centre and stand firm, allowing whatever occurs to penetrate us to our deepest core and speak its wisdom. We may not want to hear this particular piece of wisdom right away, of course, but the least we can do is write it down and return to it later because we can rest assured it will be central to our lives and how we live them before too long. Like the obscured light of the sun, our capacity to take effective action may seem blocked at a solar eclipse, but not for want of trying! These eclipses tend to have a mind of their own, shaping events and emotions according to their own often difficult to comprehend priorities. They disrupt our malaise and act to insert new experience into our personal timeline. Events associated with solar eclipses can be shocking by nature and wholly unexpected. Just when we thought life was taking us in one direction we are turned to face a different one and must forge a new path ahead. Aspects of our life which we assumed were unassailable can be thrown into disarray and we must pick up the pieces, like it or not. Alternatively, a solar eclipse may bring an unexpected and often inexplicable stroke of good luck which changes our life for the better in ways we couldn’t possibly have imagined. But adjustment will still be necessary and we may at first discover we’re a lot more scared of positive change and progress than we previously anticipated! An interesting paradox exists within every solar eclipse, for whilst they augur a time of high energy and often radical experiences, they occur at a new moon which is a time of retreat, low energy, introspection and inner illumination. So a solar eclipse is akin to driving a car with one foot on the accelerator and the other on the brake! We must decide which foot to move in response to the road ahead. Do we release the break and progress at increasing speed, or do we release the accelerator and rest for a while? Either choice is fine, as long as it’s the right one! If we need to slow down and rest we won’t miss the boat. It’ll wait because our resting is all part of the process towards the next step. But if we need to keep going on a wave of high energy, that’s all good too. We can rest another time. So choose wisely when the sun is eclipsed. Don’t push yourself if you know it’s time to step back, because stepping back at the right moment is equally important as stepping forward, and both contribute to the potential of an eclipse well-lived. Despite the intense nature of a solar eclipse its fruits may take the following six months to ripen, fertilised by our energy during the two or three days either side of the actual event. It is therefore especially important to attend to the quality of our thoughts, emotions and behaviour at this time. A solar eclipse reminds us we are both sovereign over our lives and subject to forces beyond our control. Playing our part as well as possible, with integrity, awareness and grace, ensures our power is used to the fullest and greatest effect. The rest we must leave to chance and embrace when it arrives! So we could say a solar eclipse is a brush with destiny, but not in the ‘pre-ordained there’s no avoiding it’ kind of way. We are our own destiny, a fact which may become startlingly apparent at this time. The events of our lives, their twists and turns, challenges and triumphs, reflect our deepest essence and unique presence in this world. We are force-fields of energy and intent, interacting with the unified field of being woven through all things. The causative factors of events in our lives are many and varied, but we are the common denominator and it is through self-knowledge and self-acceptance that we can more fully live, whatever life (and a solar eclipse!) throws our way. If you want to understand how a particular solar eclipse impacts you more personally, look to the house where it falls in your birth chart. Here you will experience its direct impact as the affairs and issues of that house are subject to disruptive or unexpected forces which may feel beyond your control. Previous activity or achievement in the eclipse house may be undermined and new plans or efforts required. You may have to think on your feet for a while if you want to make up lost ground. Alternatively, it may make more sense to let go of previous goals and reconsider the shape of things to come in this area of your life. Any aspects the eclipse makes to natal planets, or conjunctions to the Ascendant, Descendant, Midheaven or Imum Coeli, will also influence how its energies are experienced. Look especially to the personal planets (Sun, Moon, Mercury, Venus, Mars and sometimes Jupiter) and to conjunctions, squares and oppositions, which will be most acutely felt. Look also to the position and condition (aspects and strength etc.) of your natal sun, whose impact upon your life will be emphasised during a solar eclipse. You may find that the issues your natal sun reflects in your chart are particularly brought to bear in the house where the eclipse occurs. For example, if your natal sun is in your 10th house of career and public life and the eclipse is in your 4th house of home and family, you may find that work issues and demands from the outside world greatly impact your home life, and your work/personal life balance requires some skilful attention. 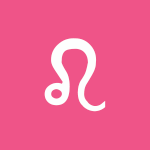 It’s also worth considering the house ruled by the sun in your natal chart: that is the house with Leo on its cusp. Here you will also feel the impact from a solar eclipse, but often more in the long-term than at the actual time of the eclipse. Once the eclipse season has passed and things begin to settle you may see a gradual change in this area over the following few months, as events and changes associated with the eclipse ‘bed in’ to your life. Your decision-making abilities and sense of sovereignty in this area of your life will mature as a result of the eclipse and you will gain a broader and wiser perspective upon the affairs of this house and how best to take them forward. The ancient Roman festival of Parentalia began with the senior Vestal Virgin performing rites in honor of the dead. For the following eight days of the festival, each family in Rome would pay tribute to its ancestors by leaving offerings and gifts at their graves. During this time, temples were closed, marriages were forbidden, and magistrates did not wear official insignia. On the last day of Parentalia a public ceremony was held, culminating in a sacrifice to Faunus, also known as Pan, a pastoral and oracular God who revealed the future through dreams. Want to drive your lover crazy? This candle spell is meant to entice and tempt. The whole point of it is to add a little spark back into your relationship and to make you irresistible. In this spell, you will be calling on Lilith, so prepare yourself for a good time. Please remember to be conscientious of this spell and only work this upon yourself, self, so you and your partner can have a little fun. These will make me very enticing, so now must it be. May my love and I have a little fun! Now go and find your lover, give him or her a bewitching smile, and see what kind of reaction you get. Tuesday is a Mars day, and just like the god of war, this is the time to tap into magicks to call for strength and courage. This day of the week is for rebels and warriors. If you are facing a challenge of any kind, need a boost to your courage, or want to enhance your passions, Tuesday is the day of the week for you.